A plasma is an ionized gas where the magnetic and electric field play a key role in binding the material together. Plasmas are present in almost every astrophysical environment, from the surface of pulsars to the Earth's ionosphere. This module explores the unique properties of plasmas, such as particle gyration and magnetic reconnection. The emphasis is on the plasmas found in the Solar System, from the solar corona and solar wind to the outer reaches of the heliosphere and the interstellar medium. Fundamental astrophysical processes are explored, such as the formation of supersonic winds, magnetic energy release, shock waves and particle acceleration. The module highlights the links between the plasmas we can observe with spacecraft and the plasmas in more distant and extreme astrophysical objects. Plasmas and plasma phenomena in astrophysical environments. Introduction to basic plasma behaviour: quasi-neutrality, plasma oscillations, scale lengths etc. Particle motion in electromagnetic fields: gyration and conservation of magnetic moment, magnetic mirroring. Applications, e.g. radiation belts, particle acceleration. Introduction to MHD: Magnetic Reynolds number, flux freezing, field line draping. The solar wind: observational description, Parker model of supersonic expansion and interplanetary magnetic field. 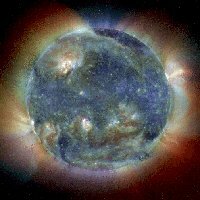 Magnetic reconnection: process and consequences; solar flares and magnetospheric activity (“space weather”). Simple models of reconnection. 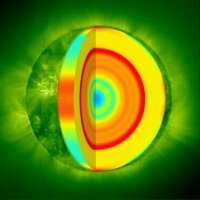 Image credit: SOHO/EIT consortium. SOHO is a project of international cooperation between ESA and NASA. 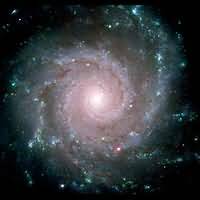 Cosmology is a rapidly developing subject that is the focus of a considerable research effort worldwide. It is the attempt to understand the present state of the universe as a whole and thereby shed light on its origin and ultimate fate. Why is the universe structured today in the way that it is, how did it develop into its current form and what will happen to it in the future? The aim of this course is to address these and related questions from both the observational and theoretical perspectives. The course does not require specialist astronomical knowledge and does not assume any prior understanding of general relativity. Observational basis for cosmological theories. Derivation of the Friedmann models and their properties. 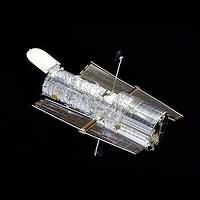 Cosmological tests; the Hubble constant; the age of the universe; the density parameter; luminosity distance and redshift. Physics of the early universe; primordial nucleosynthesis; the cosmic microwave background (CMB); the decoupling era; problems of the Big Bang model. Large and small scale anisotropy in the CMB. This module is an introduction to understanding the origin, propagation, detection and interpretation of electromagnetic (EM) radiation from astronomical objects. In this module students will learn: how to describe EM radiation and its propagation through a medium to an observer; the main processes responsible for line and continuum emission and how they depend on the nature and state the emitting material; the effects of the earth's atmosphere and the operation of the detection process at various wavelengths. The material will be illustrated by examples from optical, infrared and radio portions of the EM spectrum. Provide an introduction to the various mechanisms applicable to the creation, propagation and detection of radiation from astronomical objects. Provide an understanding of how EM radiation is generated in astrophysical environments, and how it propagates to the "observer" on earth, or satellite. Provide an ability to understand astronomical observations and how they can be used to infer the physical and chemical state, and motions of astronomical objects. Provide an understanding of how spatial, spectral and temporal characteristics of the detection process produce limitations in the interpretation of the properties of astrophysical objects. Provide an understanding of the uncertainties involved in the interpretation of properties of astrophysical objects, including limitations imposed by absorption and noise, both instrumental and celestial, and by other factors. Enable students to be capable of solving intermediate-level problems in astronomical spectra, using analytical techniques encountered or introduced in the course. Ever since the dawn of civilization human beings have speculated about the existence of planets outside of the Solar System orbiting other stars. The first bona fide extrasolar planet orbiting an ordinary main sequence star was discovered in 1995, and subsequent planet searches have uncovered the existence of more than one hundred planetary systems in the Solar neighbourhood of our galaxy. These discoveries have reignited speculation and scientific study concerning the possibility of life existing outside of the Solar System. This course provides an in depth description of our current knowledge and understanding of these extrasolar planets. 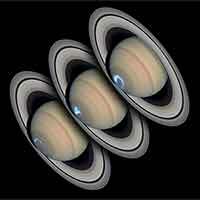 Their statistical and physical properties are described and contrasted with the planets in our Solar System. Our understanding of how planetary systems form in the discs of gas and dust observed to exist around young stars will be explored, and current scientific ideas about the origin of life will be discussed. 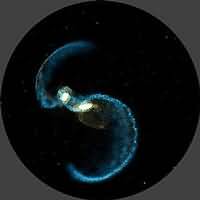 Rotationally supported discs of gas (and dust) are not only important for explaining the formation of planetary systems, but also play an important role in a large number of astrophysical phenomena such as Cataclysmic Variables, X-ray binary systems, and active galactic nuclei. These so-called accretion discs provide the engine for some of the most energetic phenomena in the universe. The second half of this course will describe the observational evidence for accretion discs and current theories for accretion disc evolution. The module considers in detail the basic physical processes that operate in galaxies, using our own Galaxy as a detailed example. This includes the dynamics and interactions of stars, and how their motions can be described mathematically. The interstellar medium is described and models are used to represent how the abundances of chemical elements have changed during the lifetime of the Galaxy. Dark matter can be studied using rotation curves of galaxies, and through the way that gravitational lensing by dark matter affects light. 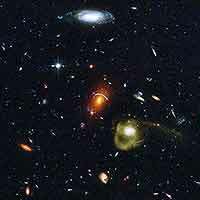 The various topics are then put together to provide an understanding of how the galaxies formed. 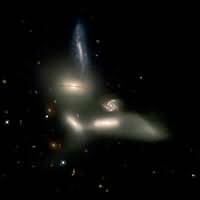 Introduction: galaxy types, descriptive formation and dynamics. Stellar dynamics: virial theorem, dynamical and relaxation times, collisionless Boltzmann equation, orbits, simple distribution functions, Jeans equations. The interstellar medium: emission processes from gas and dust (qualitative only), models for chemical enrichment. Dark matter - rotation curves: bulge, disk, and halo contributions. Dark matter - gravitational lensing: basic lensing theory, microlensing optical depth. The Milky Way: mass via the timing argument, solar neighbourhood kinematics, the bulge, the Sgr dwarf. Research in astronomy builds on a vast body of literature and archived data. This course is an introduction to research methods which exploit existing information, and thus serves as an introduction to the MSc project. Critical analysis of scientific articles. Scientific writing including appropriate style and presentation. The context of astronomy research in society. As the planetary system most familiar to us, the Solar System presents the best opportunity to study questions about the origin of life and how enormous complexity arises from simple physical systems in general. This course surveys the physical and dynamical properties of the Solar System. It focuses on the formation, evolution, structure and interaction of the Sun, planets, satellites, rings, asteroids and comets. The course applies basic physical and dynamical principles (such as orbital dynamics and elementary differential equations) needed for the study of the Solar System. However, prior knowledge of these topics is not necessary as they will be introduced as required. As far as possible the course will also include discussions of recent discoveries in planetary science. The solar nebula and planet formation. C.D. Murray and S.F. Dermott, Solar System Dynamics, (Cambridge University Press). B. Bertotti, P. Farinella and D. Vokrouhlicky, Physics of the Solar System, (Kluwer Academic Publishers). J.K. Beatty, C.C. Petersen and A. Chaikin, The New Solar System (4th edition), (Cambridge University Press, Sky Publishing). J.S. Lewis, Physics and Chemistry of the Solar System (2nd edition), (Elsevier Academic Press). I. de Pater and J.J. Lissauer, Planetary Sciences, (Cambridge University Press). Stars are important constituents of the universe. This course starts from well known physical phenomena such as gravity, mass conservation, pressure balance, radiative transfer of energy and energy generation from the conversion of hydrogen to helium. From these, it deduces stellar properties that can be observed (that is, luminosity and effective temperature or their equivalents such as magnitude and colour) and compares the theoretical with the actual. In general good agreement is obtained but with a few discrepancies so that for a few classes of stars, other physical effects such as convection, gravitational energy generation and degeneracy pressure have to be included. This allows an understanding of pre-main sequence and dwarf stages of evolution of stars, as well as the helium flash and supernova stages. 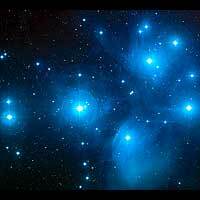 Observational properties of stars, the H-R diagram, the main sequence, giants and white dwarfs. Properties of stellar interiors: radiative transfer, equation of state, nuclear reactions, convection. Models of main sequence stars with low, moderate and high mass. Pre- and post-main sequence evolution, models of red giants, and the end state of stars. The module includes some exposure to simple numerical techniques of stellar structure and evolution; computer codes in Fortran. This module studies the structure and dynamical behaviour a variety of astrophysical regimes, using the basic equations of fluid dynamics. Starting from the simplest applications, such as sound-waves and gravitational instability, it proceeds to topics of current research, such as solar and stellar seismology. It considers the influence of rotation at the initial stages of gravitational collapse, which leads eventually to the formation of compact objects, rotational distortion of stellar and planetary configurations, and tidal interaction in binary stars. The module also considers settings where nonlinear equations are applicable, such as spherically-symmetric accretion of gaseous clouds, and addresses briefly the formation and evolution of nonlinear waves and shocks. Fluid dynamical model in astrophysics. Stellar stability, stellar oscillations, variable stars. Stellar rotation, structure of rotating stars. Binary stars, tidally distorted models. Rotationally and tidally distorted planets. 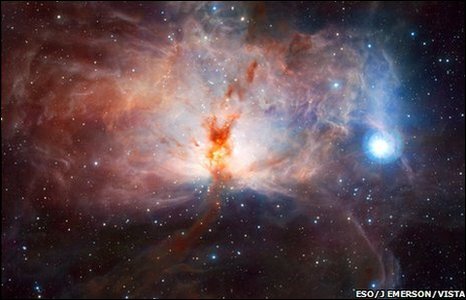 This course is an introduction to the use of computers in astrophysics. Basic notions of computer algorithms. Introduction to numerical analysis: approximations, errors, convergence, stability, etc. Finite difference method: solution of ordinary and partial differential equations. Introduction to numerical methods used in data analysis: image processing, spectral analysis, etc. The concepts will be illustrated with examples from astrophysics, such as solar system dynamics, astrophysical fluids, stellar structure, etc. Computer practical courseworks are a major element of the course. Students are expected to write simple programs, and present their results in written reports. The course is intended to cater for students with very different levels of programming expertise.